Bearss limes, which are also known as Persian limes or Tahiti limes, are what most of us think of simply as "limes." Think these look pretty yellow compared to the limes sold at your supermarket? That's because Bearss limes are commonly harvested and sold when still completely dark green. When allowed to ripen, however, they turn noticeably lighter and take on a little bit of a lovely yellow hue. Guess what else happens when Bearss limes ripen on the tree? They get juicy. Way juicier than the limes you might be used to. First, look for limes that aren't deep, dark green, if at all possible. You want that lighter, bit of yellow hue if you can find it. 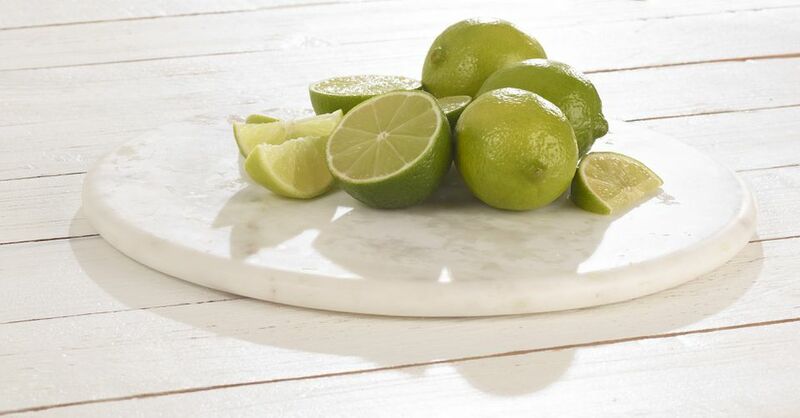 Second, no matter what color they are, look for limes that feel a bit softer rather than being rock hard. These limes are closer to ripe and will also be way juicier than their rock-like counterparts. Third, limes with smoother skin tend to be riper limes with slightly more give. Look for those to find the limes that fit the second tip. If you're going to use them within the week, store limes on the counter at room temperature—they'll be fine. If you got a deal or didn't use all the limes you thought you would, tuck the limes into a sealable plastic bag, seal the bag, and store them in the fridge. Limes stored this way will last for weeks. All ready to add a tart lime flavor at a moment's notice! Need even longer storage? Juice the limes and freeze the juice in air-tight containers. The frozen lime juice will last six months in a freezer attached to a refrigerator and up to a year in a stand-alone freezer. Limes can be broken down into two main flavor parts: the zest and the juice. To get the zest, run a microplane or grater over the surface, scraping off just the green part on the outside, avoiding the bitter white pith underneath. Add the zest to salad dressings and marinades, mash it into butter to make a compound butter, or use as called for in recipes. To get the juice, cut the lime in half and squeeze out the juice. Use the juice in cocktails like a classic gin and tonic with lime or add it to smoothies, lime juice is particularly tasty when whirled into a mango smoothie. Use them as you would any lime, but with all that juice and flavor, you can also use them where you might normally use lemons. For example, turn lemonade into limeade.